"NOON" is an ancient philosophical principle describing the "primordial waters"to constitute the source of all exists in the world. These principles are the core of our business, radiating throughout all or company’s products, technology, processes and partners. NOON Aesthetics develops and manufactures a line of professional Skin Care, with the belief that quality, excellence and professionalism – combined with the industry’s leading innovation and technology – lead to impressive results and excellent skin conditions. The use of NOON Aesthetics’ DermShield™ technology, combined with top-quality ingredients and an uncompromising adherence to precise concentrations, enables the company’s client to enjoy the most effective results available today in the field of skin care. Founded in 2012 by skin care connoisseur and prominent chemist, Masha Minkin, together with technology innovation specialist, Eran Rosman, NOON Aesthetics has successfully entered the international skincare market. Masha Minkin - Founder & CTO of NOON Aesthetics, has extensive knowledge and expertise in the development and application of skincare products. This is due not only to Minkin’s years of operating a top-rated professional aesthetic clinic - which included defining skincare treatments and protocols - but also her eclectic education in the fields of Chemistry and Biology, comprising of years of work in a medical trials laboratory. This extraordinary combination has led her to understand and strive for the highest innovation in the skincare market. 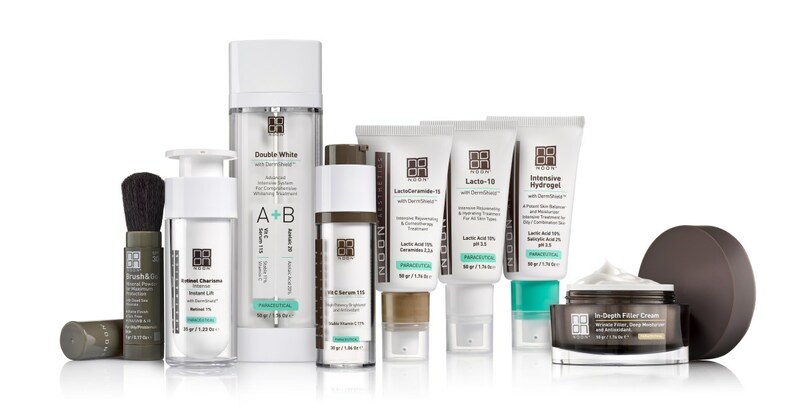 Minkin’s legacy is manifested in NOON Aesthetics’ products and the DermShield™ technology. DermShield™ is a game-changer in the aesthetic market, as it allows for use of highly concentrated active ingredients without any side effects. Eran Rosman - Founder & CEO of NOON Aesthetics, has over 20 years of professional and managerial experience, including serving roles within some of Israel’s most innovative projects. Prior to NOON Aesthetics, he founded a successful startup company in the field of cloud digital payment systems. Due to his background, he sincerely believes that the combination of technology and professionalism is the exact mix that produces quality products for NOON Aesthetics’ customers. David Schuler has 15 years of experience in the skin care and medical device industry. Mr. Schuler holds an MBA.